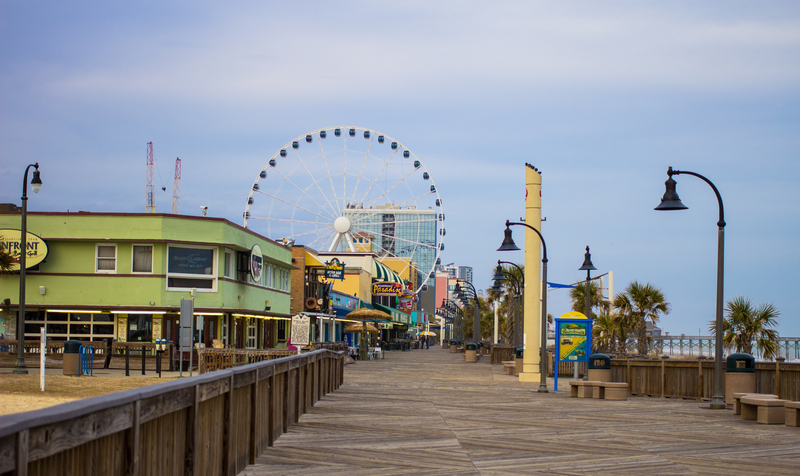 Reminiscent of the famed boardwalks up and down the East Coast, the Myrtle Beach boardwalk and promenade is a wide, airy, and lively place to be located at 14th Avenue North to the Second Avenue North Fishing pier and Restaurant. Stroll down memory lane or make new memories. The choice is yours.